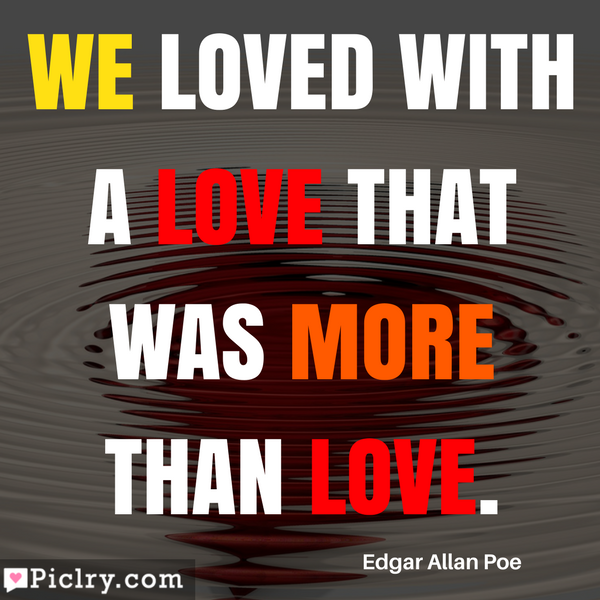 Meaning of We loved with a love that was more than love. 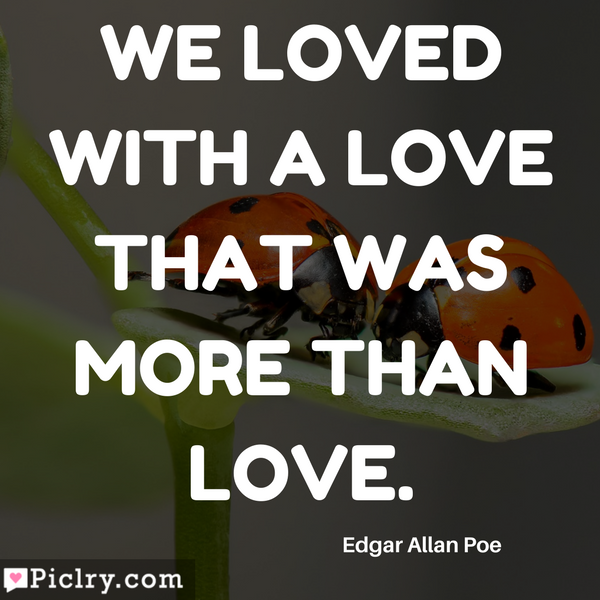 Meaning of We loved with a love that was more than love. 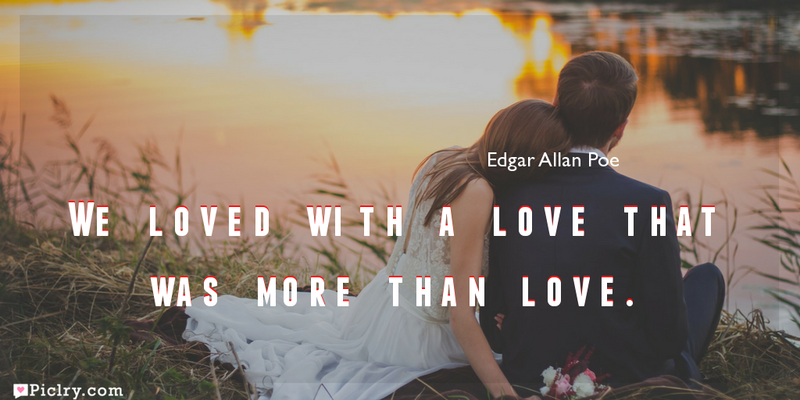 Quote by Edgar Allan Poe. 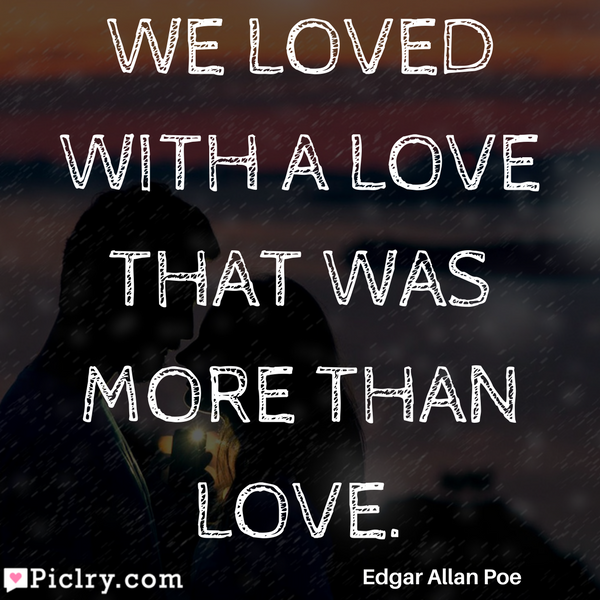 We loved with a love that was more than love. In a world where love is becoming more and more superficial. 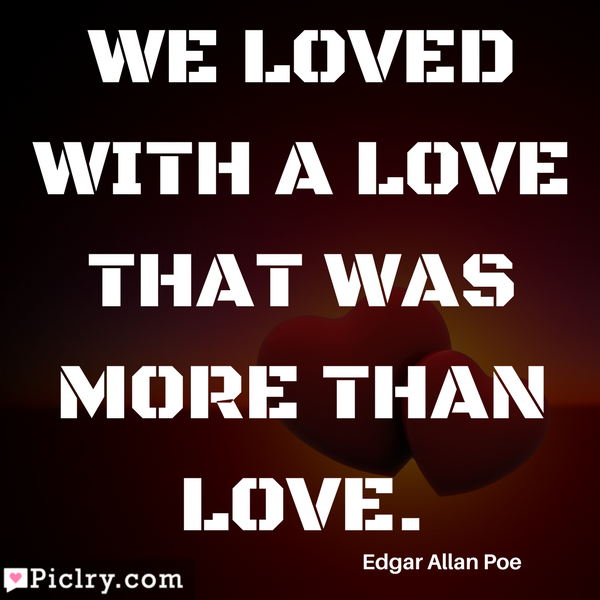 A world where most love did not encompass what love truly means. 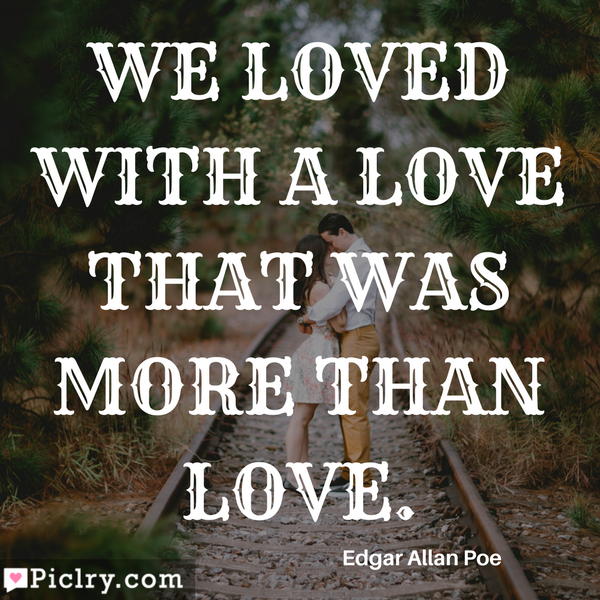 Two people loved each other so much. They loved each other more than most normally do. A bond of two souls, a love that was not just contained physically but a love that succeeded the normal plane of being. A bond so strong that they couldn’t leave others sides or bear the loss of one another. A love so strong that it couldn’t be put into a few short words.